The hype made me do it! We got off to a rough start. This being my first Too Faced palette, expectations were high, and although I hated it the first time I used it, I’m happy I tried again. When you say peach, I’m sold. But I expect way more orange hues from something called the Peach Palette! The selection of shades is pretty, and there’s room to play with different looks but to me, it falls short. At first, I went straight in for Candied Pink, the most eye-catching of the shades. But the application was patchy, and it was difficult to work with. I realised though, that my synthetic Real Techniques Bold Metals Oval shadow brush didn’t pick up the product properly. Although yes, the brush was at fault, I’ve never had a problem using it with other shadows. I fully appreciate the buttery texture of the Too Faced shadows and how smoothly they apply, with a goat haired MAC 217 brush. The fall-out is minimal, and the pigment very impressive. With a primer, the shadows don’t move, crease, or fade in any way for over ten hours. 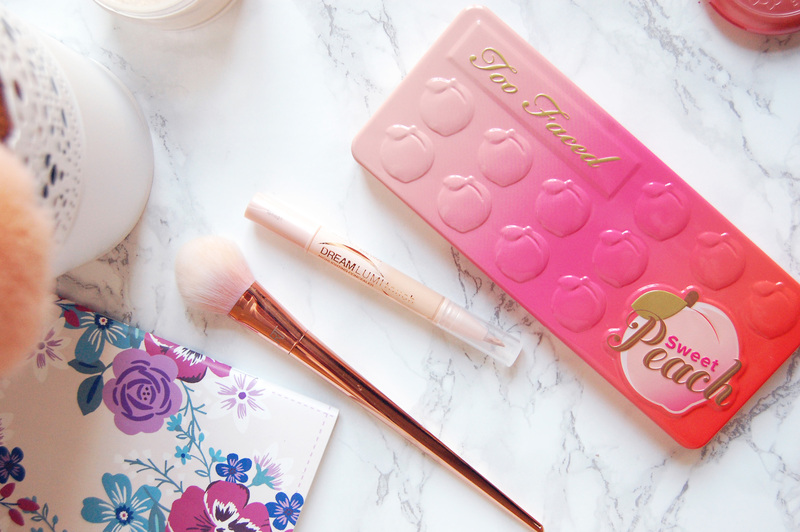 Though I wouldn’t normally gravitate towards shimmers, the Too Faced formula is stunning! They’re finely milled and non-glittery, and I’m quite all right with that! Cobbler especially, a warm fudge brown with gold undertones, is a heartbreaker! As for the technical parts, the peach scent everyone coos over is real! The scent is stunning, and anything peachy reminds me of my mum, so I’m quite taken with it. The packaging is the typical over the top girly cute packaging Too Faced is known for, but I actually like this design. It’s a weighty palette, with a tin exterior, so it will travel well. The mirror however, could be bigger. So, it might not be what I wanted it to be, but I’m sure I’ll make good use of it! 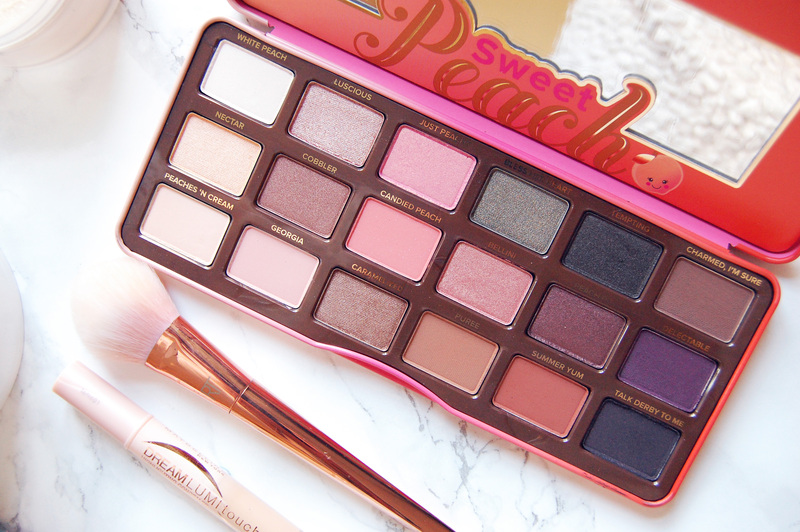 What’s your take on the Sweet Peach palette? 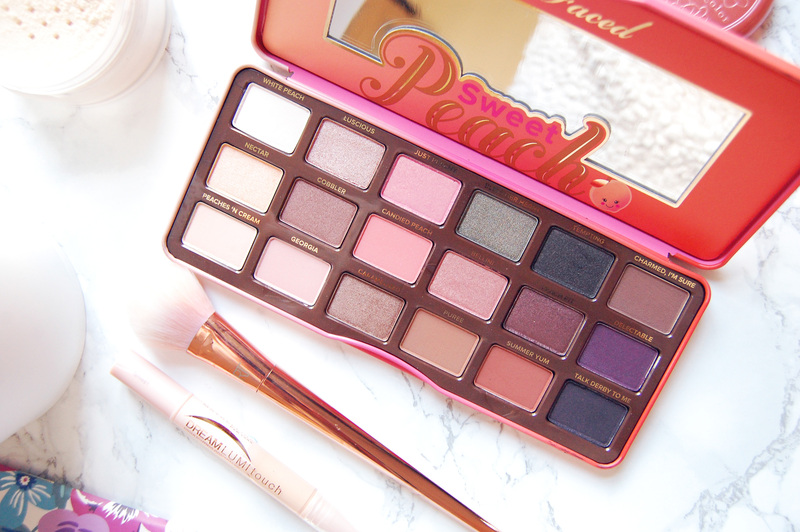 I own so many palettes but shall I buy this one to?! Haha! Like you I had expected something less pink regarding the name, so I skipped it. Pinks are not my color.